Spotware Systems has launched a new solution aiming at a new line of clients for the company. The firm is focusing on the highly popular introducing broker business, and has announced the launch of a new solution that is aiming to serve to the needs of both brokers and introducing brokers (IBs). Aligning the interests of both parties is at the core of every introducing broker platform and Spotware went far to ensure transparency and openness for the business model which the IB and the broker share. The IB Center is at the core of the offering, providing detailed information about the different sets of clients which the IB has and dividing them into different tiers. Anyone who using a cTrader trading platform is able to submit a request to his/her broker to become an IB. 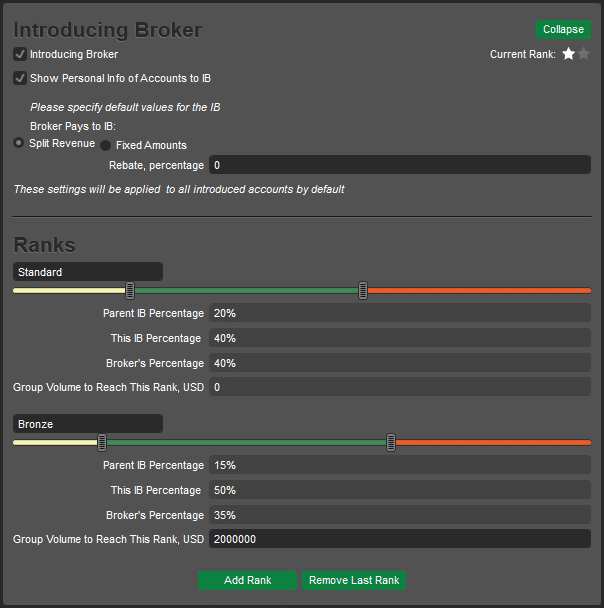 Spotware has launched the new feature to all existing broker-clients for no additional charge with the IB Center also available to all future brokers at no additional cost. 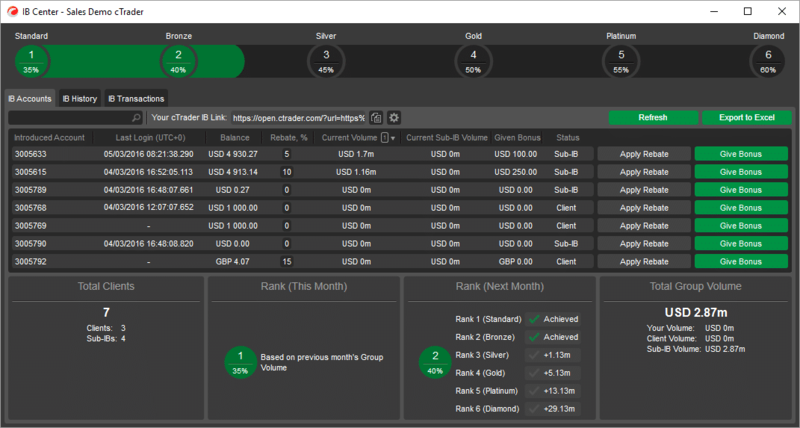 The new feature can be finely tuned from cBroker, with the IBs and traders only using cTrader to gain access to the functionalities necessary to track the process. A rich set of configuration settings can be tailored to the needs of different kinds of IBs by the broker. From fixed commission ranks, to revenue sharing ranks or fixed value rewards, the options are always transparent for both sides of the operation. Working at a multi-level, the cTrader IB Program supports unlimited levels of IBs, resembling a multi-level marketing tree. When an IBs client becomes an IB, the parent IB will continue profiting from the new IB, with no limitations when it comes to the number of Sub-IBs or introduced clients. overview of accounts, earnings and commissions. Brokers can setup an unlimited levels of revenues sharing ranks, determining what levels of volume need to be achieved in order to qualify for a certain rank. Clients are getting access to the full suite of cTrader, including the HTML5 based Web cTrader, cMirror, cAlgo and cTrader’s mobile version. IBs also have access to a variety of retention tools including paying bonuses and giving rebates. IBs can also generate trackable links which are unique to their cTrader ID, to use on websites and in email campaigns. “The range of resources available to IBs within the IB Center helps them to retain clients and encourage higher trading volumes helping them to access more attractive rewards as they climb the revenue sharing structure their broker has tailored for them. Our cookies have no expiry date, meaning IBs will never miss an opportunity, even if a trader doesn’t convert for months,” Glyde concluded.